I’ve been increasingly impressed with the LA Times’ willingness to run pieces on Israel/Palestine that unflinchingly explore the deeper dimensions of the conflict. Latest example: a powerful op-ed by Palestinian doctor, academic and writer Ghada Karmi. 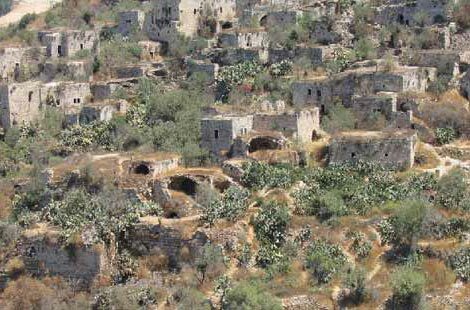 In her piece, Karmi responded to a recent LA Times feature that chronicled the events currently swirling around Lifta, the last intact pre-1948 Palestinian village in Israel. The Israel Lands Administration plans to raze this historic site in order to develop 212 luxury apartments, a hotel and retail shops; advocates fighting for the preservation of the site point out that these plans are but the latest example of Israel’s ongoing assault on Palestinian memory. The people of Lifta (the village that The Times features), which is just three miles from my old neighborhood in west Jerusalem, were already fleeing in December 1947. The Jewish paramilitary organization Haganah and the Stern Gang, a Jewish dissident group, attacked the villagers with guns and hand grenades. By February 1948, most houses on the edge of the village had been demolished; the inhabitants fled in terror. The same fate was intended for Katamon, where we lived. Increasing attacks on our street and its vicinity had the same desired effect as in Lifta. After January 1948, when the Semiramis Hotel on a street near ours was bombed by the Haganah, killing 26 people (a nightmare of horror that I dimly remember), the attacks against our neighborhood escalated. Families started leaving, fearful for their children and believing it would be a temporary evacuation. By the time we left, hardly any of our friends remained. The increasing danger around us forced my parents to leave. We took nothing with us, convinced it would not be long before we returned. Karmi pointed out that unlike Lifta and hundreds of other Palestinian villages, her home is still inhabited today. Then in a throwaway aside, she revealed a minor bombshell: NY Times correspondent Ethan Bronner currently lives in an upper story that was later added on to her family home. Ali Abunimah covered this particular turn of events one year ago in a piece for The Electronic Intifada. Also recommended: Karmi’s memoir “In Search of Fatima” – particularly the riveting first third of the book in which she recalls her childhood experiences in Jerusalem. This entry was posted in Human Rights, Israel, Jerusalem, Palestine on April 14, 2011 by Rabbi Brant Rosen.